Mondays and Rainy Days - Life is so full of tae! The past week until today has been the Mondayest week ever. To be honest, it felt like I am stuck in an episode of The Walking Dead where everything nasty and ugly is chasing you and badly wants you dead (and here I am talking as if I watch TWD). For more than a week, I really thought the universe hates me because nothing seems to go right. I was already on the verge of becoming a nutcase. Then Columbia happened. And bubble wraps. 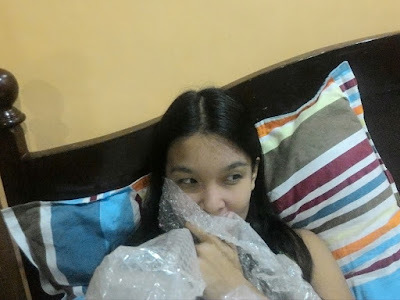 Yes, bubble wraps kept me sane. 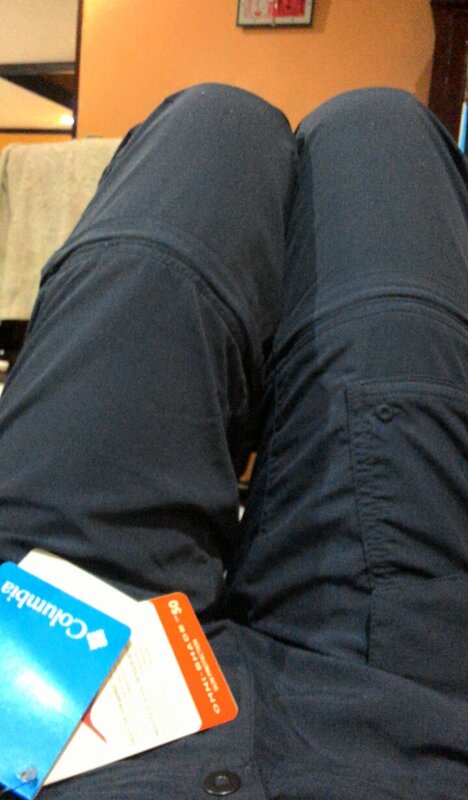 I just got myself a new pair of Silver Ridge Convertible Trek Pants from Columbia. And it was enough to act as a Prozac. Yes, ganun ako kababaw. But then when I think about it, hindi naman talaga sya ganun kababaw. Never in my life have I thought I would own a trek pants that would be worth more than 3,000 bucks. Akala ko pang ukay-ukay lang ang beauty ko. I'm not the one who would splurge on taong bundok luxuries like this tapos ipanggugulong, ipanggagapang, at puputikan lang. But I guess, with all the hard work and that all-nighter project I just pulled off a few days ago, I deserve this. I am just too happy that I even bothered to blog something nobody really cares about. Unless this post is about Trek Pants Shopping Tips, then this will remain insignificant, at least for you. Still wearing this as of this writing. Still with tags and all. Ganun talaga. Parang bata lang. Haha! But for me, this has gotten me even more excited about our year-end climb. We will be doing that Mount Kitanglad-Mount Dulang-dulang traverse soon and I think the pants came in the perfect time. This, my Karrimor hiking bag, the New Balance trail running shoes that I scored for only 250 bucks in an almost new condition, and my Lazada affiliate conversions have made Christmas come a bit too early. I still have two things in mind though: a Nalgene 32 oz glow-in-the-dark water bottle (*cough* sa nakawala sa akong Nalgene, challenging baya ni pangitaon *cough*), and of course, that Onitsuka Tiger Colorado Eighty-Five sneakers that I have kept my eye on since Jan and I started getting interested with this brand. I've been surrounded with people, a cat, and events that I consider big big blessings, so I guess it won't hurt if I become materialistic once in a while. Simple lang naman ang luho ko, travel and outdoor gears lang masaya na ako. *wink* And I hope Jan gets better too. He's the one who's keeping me at peace with the universe and has still been taking care of me despite his injury. wala pa labot equipments ana. simple lang daw. mahal kayo ka'g hobby chuy.